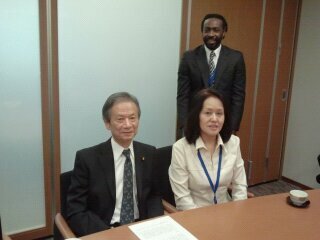 The meeting began with Masako explaining who we were and introducing the LBPJ & APFS joint policy statement. She talked about the need for Japan to establish a system of joint custody and indicated that we knew that the Diet was about to make changes to the current family law system. Mr. Eda interjected to say that they had discussed proposals for change to the family laws in order to accede to the Hague Convention. We said that we understood that. Masako said that it was our opinion that in conjunction with signing the Hague Convention, Japan should also change to a joint custody system. Takeuchi restated that opinion. Takeuchi also stated that there are many children who cannot see their non-custodial parent at all under the current system of family law. In order to protect the rights of non-custodial parents and the human rights of children, Japan needs to adopt a joint custody system. I responded that most of the world’s countries and people view the denial of access for a child to either one of his/her parents is against their fundamental human rights and constitutes child abuse. I spoke about the current system promoting and contributing to domestic and international child abductions. I spoke to the recent statement submitted in writing by the Embassy of Canada in October on behalf of six nations (Canada, USA, UK, Australia, New Zealand and France) and its content stating that the interim proposals for legislation discussed in 2011, that he referred to earlier, deviate from the convention. 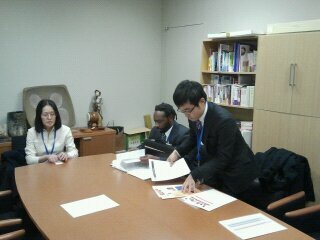 I stated that when Japan signs the Hague Convention it must abide by it in letter, spirit and intent. Loopholes must not be woven into the legislation they are preparing for accession. I spoke about Mrs. Clinton and Mr. Campbell’s recent statements regarding compliant accession to the Hague and that Japan address outstanding cases immediately. I related all of my statements to the fact that Japan needs to adopt a system of joint custody with joint parental authority. Mr. Eda’s reply was that it takes time to change a culture and a system within it. I stipulated that the younger generation of Japanese people are more globalized and many, many of them are supportive of what we propose. 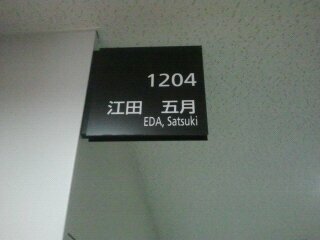 Mr. Eda acknowledged that to be true. We discussed the current sole custody system and how the judicial branch of the GoJ has not moved forward with granting meaningful access to non-custodial parents. Takeuchi, in Japanese, asks about the fact that to deprive a child of one of their parents is against the human rights of the children (and parent). He asks about the fact that the current sole custody system and the removal of parent’s authority rights is against the human rights of both parent and child. Editor’s note: The next statements I made about my case will not be published here as I know that the Suzuki family is monitoring this blog. 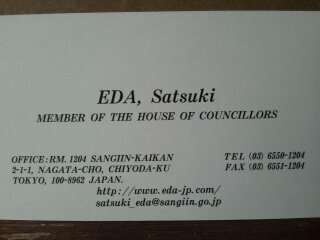 Masako spoke to Mr. Eda about her case, in Japanese. We requested Mr. Eda’s opinion on which other Diet members would be influential in the drafting of new legislation as we want to meet with them and speak to them about our push for joint custody. He made his suggestions of who to talk to. We took photos. Mr. Eda asked if we were opposed to his using our images on his website. This man is a very skillful politician. It was difficult for us to get a straight answer from him in either language. Having said that, he did state that he believes Japan should sign the Hague Convention and that as Justice Minister he met with many groups who were opposed to signing it. He said that he believed he was able to illustrate to them that it would be in Japan’s best interest to accede to the Hague Convention. I believe that Mr. Eda believes that a child should have access to both of his/her parents. I believe he is well intentioned but he is just one of 750 national politicians. 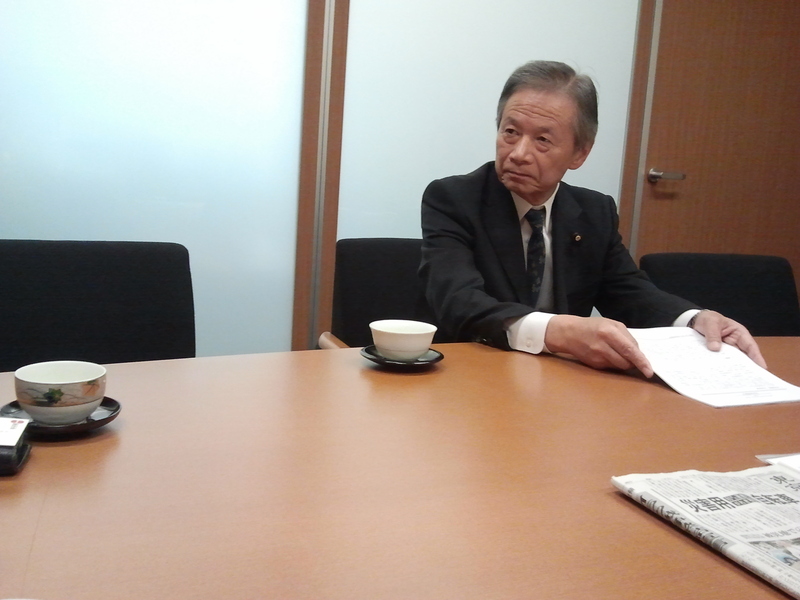 I believe that this was a good opportunity to meet someone with considerable influence in the Diet and in his party, the Democratic Party of Japan (DPJ). I will continue to fight for the human rights of children and parents. I will continue to fight for meaningful, positive change in this country. This entry was posted in Uncategorized and tagged abduction to Japan, bruce gherbetti, bruce r. gherbetti, child abduction, child abduction to Japan, child abuse, children's human rights, children's rights, children's rights in Japan, Fukushima Children, Human Rights, international child abduction, international parental child abduction, IPCA, IPCA Japan, Japan Human Rights, julia gherbetti, julia suzuki, lauren gherbetti, lauren suzuki, LBPJ, Left Behind Parents Japan, parental abduction, parental alienation, parental alienation syndrome, PAS, rion gherbetti, rion suzuki, suzuki julia, suzuki lauren, suzuki rion. Bookmark the permalink. Did you get a chance to point out that in 1994, when Japan ratified the UNCRC, they agreed to support the rights of children, to battle parental abduction, and to ensure the rights of children to have a relationship with both parents? So, Japan has already been in violation of their obligations for nearly 20 years – and per Article 98, also in violation of their own constitution. Patrick, I did not get to mention that the Japanese are in violation of the UNCRC, much to my chagrin. The meeting was only 30 minutes and there were four of us who wanted to speak and ask questions. Thank you for doing all this. You have no idea how much your efforts mean to me. I appreciate it from the bottom of my heart. I’m here stuck at home with my 4 old month baby in this very cold weather but I’ll be joining Masako as soon as I’m able to have my partner watch over my children. I am so depressed thinking if I’m ever going to see my baby boy again. He was abducted in July 20th of 2006. It’s been 5 years and 6 months since then. He already goes to 1st. grade. Know that the only reason why I’ve stay in Japan was him. My life means nothing without him. I do have 3 more children but that doesn’t make the smallest difference. He is one of mine. I gave birth to 4 not 3! Without him, my life isn’t worth living. I am hoping for a change in this pre historic system before my time is up. Nemoto Tetsuo the kidnapper and his family of criminals will not go unpunished. I understand that Japan’s legal frame work as it relates to child custody, does not promote or provide for coopertive parenting for the child. The same holds ture in countries operating under Islamic Family law codes. Even so, Hague initiatives promoting resolution through cross border mediation has attracted countries like Jordan, Pakistan, India and Egypt. They have moved forward and joined efforts with the Hague to promote and develope a mediation program in these cases, even though they have not sign the Hague abducton treaty. Would something like this work in Japan? I understand they are talking about signning the Hague treaty. My concern is a mechanism that would allow for current cases to be resolved as the treaty does not allw for cases that occured prior to ratification to be handled under the treaty. @Maureen – I like your idea, however Japan is unlikely to accept third party or cross border mediation. This is a truly xenophobic culture with superiority complex woven into the mix. Change will come though, with generational shift. This is tremendous that you all were able to get this much one-on-one facetime with such an influential politician. Thanks for all your efforts, and especially for documenting it and publicizing it as well! Every meeting like this puts us one step closer to achieving our goals. Well done! The Supreme Court made a DVD in 2006 that says kids need both parents to be happy. But the family courts don’t show this video to divorcing parents. The family courts hide the existence of this DVD. And special permission from a judge is needed to view the DVD. I would have liked to hear Eda’s explanation on why they don’t show the DVD? And why family courts don’t follow the message contained in the Supreme court DVD. Steve Christie can tell you more about this DVD or you can read an article (link below) that Colin Jones wrote about the DVD. It is just another confounding complexity in the system here in Japan. It is remarkable how quickly time passes during these meetings, and you leave with many unasked questions. 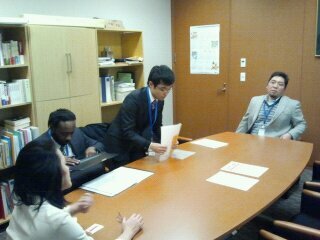 That said, we were lucky to get to meet with Mr. Eda, and he was able to provide us with some guidance to move ahead with our fight. You’re doing a remarkable job by meeting with these people, and having all the background knowledge that you have before going into those meetings. I know you are fighting for your girls, but at the same time, you’re serving as a wonderful spokesperson for the cause. Keep fighting; you’re exactly what they need.